Millennials – those currently aged between 20 and 37 – are changing the way the world works and are demanding new ways of working. The Dubai real estate sector must be mindful of the changing demands of working and work spaces and react to future needs. It is very clear that the rising tide of young people entering the workforce are not content with the current status quo. We need to be aware of the shifting trends and ensure we remain agile enough to respond to these changes. The new way of working to emerge in recent times is using co-working spaces – a shared environment where people doing all kinds of different jobs can work together, and separately, within the same space. The spaces are often very urban, stylish and are far removed from some of the more severe ‘cubicle farms’ of recent times. They allow for freedom, flexibility and a wide range of work environments. More millennials are joining the workforce, and their presence requires a 360-degree shift in the workplace perspective. There are 14,000 operational co-working spaces globally, and by the end of this year, some 1.7 million people – mostly millennials – will have taken advantage of the new working conditions offered by co-working spaces. Dubai is a perfect place for co-working spaces. According to the Dubai Statistics Centre, nearly half the population (48 per cent) is aged between 25 and 39 – that’s around 1.2 million people – representing the new workforce, with its bold new ideas. These people bring many challenges and opportunities with them. Logic and a strong rationale must be applied in dealing with them. Millennials embrace networking and mentoring opportunities, and firmly believe in the notion of the shared economy. The Dubai government has already embraced the co-working concept, with bold new workspaces occupying the ground level between the two Emirates Towers. 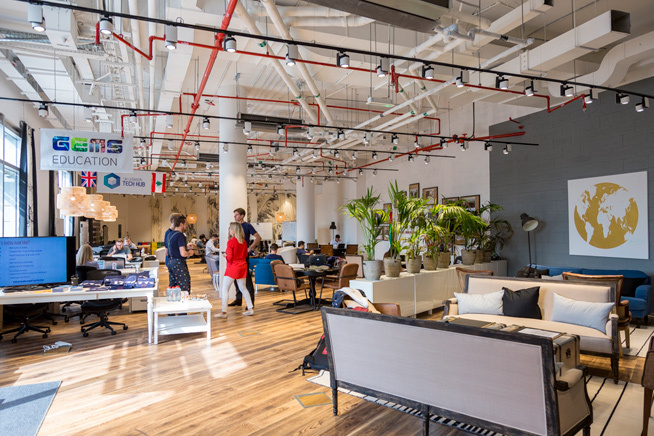 Where there used to be retail outlets and dining options, there are now wide-open work spaces – youth Hub X and Area 2071 – both standing as testament to the Dubai government’s forward-thinking policies and ability to swiftly adapt to changing market conditions and needs.